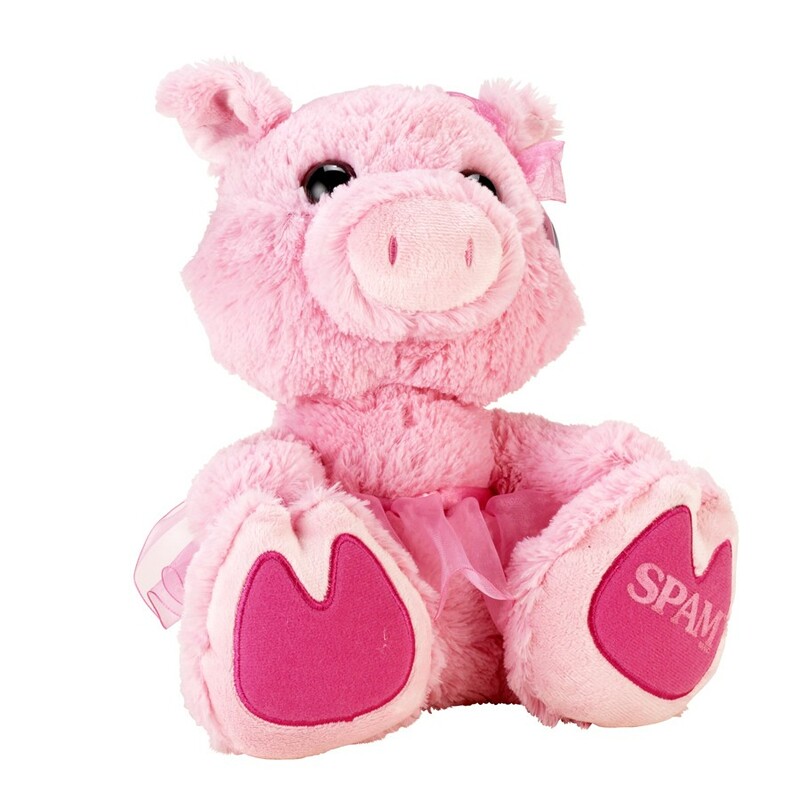 Pink plush piggy with tutu & matching bow. SPAM® Brand imprint on foot. 13" Tall. Recommended for children 3 years and older.